You cannot access these features from any navigation, but must type in the URL directly in the case of the bulk options or enter a config.php variable. 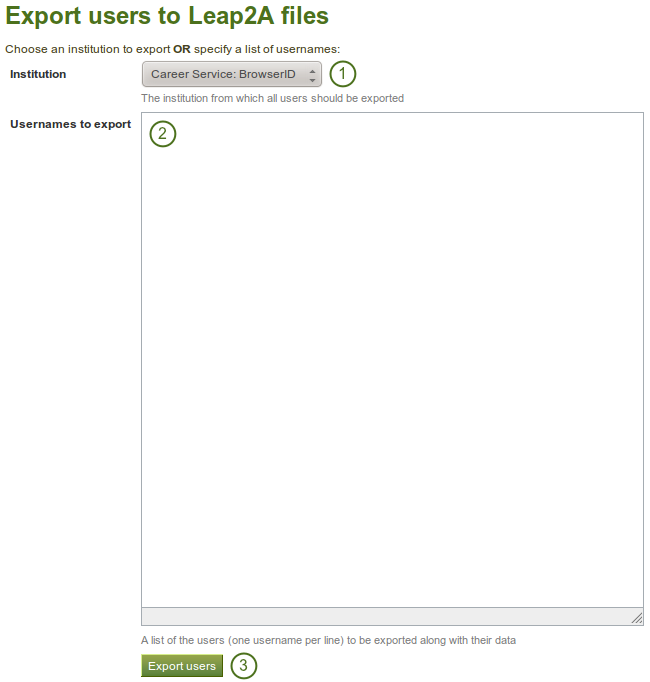 When turned on, this setting means that it doesn’t matter which other application the user SSOs from, they will be given the same account in Mahara. This setting is one that has security implications unless only turned on by people who know what they’re doing. 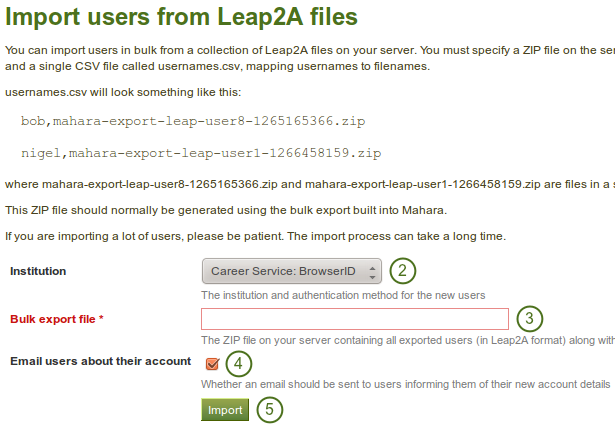 In particular, every system linked to Mahara should be making sure that same username == same person. This happens for example if two Moodles are using the same LDAP server for authentication.